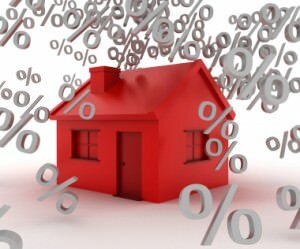 The question many are asking is –Will Mortgage Rates Rise… No one really knows…but everyone has a theory. There is an expectation for rates to rise because of the Federal Reserve’s plan to withdraw from buying mortgage-backed securities. Mortgage rates have hovered around yearly lows for weeks. But with rate-hike forecasts looming, can buyers count on borrowing costs to stay low? Many economists are now predicting the average 30-year fixed-rate mortgage to reach 5 percent by the middle of the next year, The New York Times reports. On Friday, Freddie Mac reported the 30-year fixed-rate mortgage averaging 4.20 percent. The hike in rates is partially due to the Federal Reserve’s plan to withdraw from buying mortgage-backed securities. Economists note that while a 5 percent mortgage rate is low by historical standards, such an increase still has the potential of reducing buying power in a home purchase. For example: According to some estimates, a 1 percent increase in interest rates can raise a monthly mortgage payment on a typical home by more than $700 in pricier parts of the country. The increase would likely be much more modest in other, less expensive markets. But even in the case of rate hikes up to 7 percent, the analysis found that homes remain affordable overall. From 1985 to 2000, home owners’ housing costs—including the principal and interest on a median-priced home—accounted for 22 percent of a home owners’ median household income. However, for comparison, today’s households are spending about 15 percent of their median income on a median-priced home.